As a pioneer in the temporary storage market, A.B. Richards has been providing outstanding service since 1982. 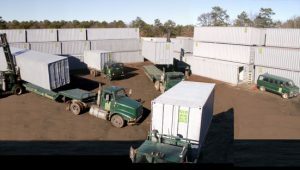 Originally an offshoot of the storage trailer rental business, storage container rentals began about 30 years ago and has since become a major aspect of the temporary storage container market. Founded to put the client first, A.B. Richards offers storage solutions at the best prices available. A.B. Richards is a private company, not an impersonal chain or franchise. We’re your neighbors so whether you’re storing furniture during a renovation, surplus inventory or dealing with flood repairs, we understand your needs. Our commitment to outstanding customer service combined with our high-quality storage containers at competitive prices is the reason for our success. We currently serve the New York Metro Area, Long Island, New Jersey, Connecticut, Eastern Pennsylvania, Rhode Island and portions of Delaware and Massachusetts. For more check out our Service Areas Page! A specially trained staff of storage professionals to assist you with any questions you may have. Help to select the most cost-effective storage solution for your project. A trained technical team to handle all aspects of storage container rental, including unit preparation and inspection. An efficient delivery team to provide courteous and timely deliveries.